In the eighties, Arato started to shift his theoretical inquiry in the analytical and interpretive direction that would end up shaping his characteristic intellectual style – that of rendering theory empirically relevant and empirical research theoretically prolific. His first area of theoretically informed social and political research had the late Soviet-type societies at its center. Arato was certainly one of the leading figures in sociological and comparative analysis that provided a unique view of the social processes and political institutions and actors that immediately preceded and followed the 1989 collapse of the Eastern European old regimes. Books such as Gorbachev: The Debate (coeditor, 1989) and Crisis and Reform in Eastern Europe (coeditor, 1991) are both fundamental documents of that exceptional period of political innovation and theoretical reflection. However, it was in the nineties that Arato became the globally-known social and political theorist he is today. The two books published early in the decade – Civil Society and Political Theory (coauthor, with Jean Cohen, 1992) and From Neo-Marxism to Democratic Theory (1993) – became the central influence, and therefore the obligatory reference, in the field of theorization and social research that turned the question of civil society into the critically informed perspective that dominated the analysis and interpretation of the transitions to democracy in Latin America and Eastern Europe during the nineties. Our collective volume, Critical Theory and Democracy, gives testimony to the way in which a large number of scholars have been formed as political and social theorists, sociologists, or comparative political scientists, as a consequence of an encounter with these two volumes. During the nineties, Arato continued conducting research and writing in the field of democratic theory from the perspective of social and political thought of late Frankfurtian inspiration. In particular, these years were closely related to Arato’s engagement with Jürgen Habermas’ discourse-ethical project. 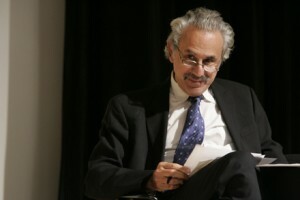 Several of his essays of the period expanded his research by explicitly intertwining his intellectual interests with those of Habermas and other democratic theorists identified with critical theory and social-philosophical perspectives. His co-edited book, Habermas on Law, Democracy, and Legitimacy (coeditor, 1998), stands as one of the central compilations in the field. Finally, these dimensions of Arato’s scholarship – from the western-Marxist reflections on historical processes and emancipatory normative models, to the communicative rationality of its Habermasian contemporary manifestation and the study of civil society and democratic legitimacy – have more recently converged in his studies on transitions from authoritarian rule, emergency regimes, and post-sovereign constitution making. During the past ten years, Arato has published two exemplary models of the aforementioned empirically relevant theory and theoretically prolific empirical research. Engaging directly the thought of crucial twentieth-century political theorists such as Hannah Arendt and Carl Schmitt, he has become one of the leading scholars in the analysis and interpretation of the two most significant processes of political foundation and constitution making of the turn of the century: the “self-limited revolutions” of the nineties in Eastern Europe and the “externally imposed revolution” attempted by the Bush Administration during the invasion and occupation of Iraq. 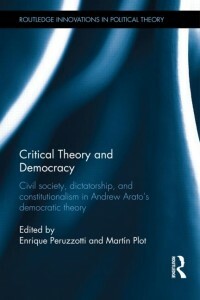 In both volumes, his theoretical approach reactivates the explicit and implicit debate between Schmitt and Arendt on questions such as sovereignty, constituent power, and revolution, giving it a renewed life in the context of developing conceptual tools for interpreting post-9/11, globally-relevant political processes. In a way unique to his work – but undoubtedly initiating a path to be transited by many others – Arato has shown how the largely successful foundational political experiences of Southern European (Spain, Portugal, Greece), Latin American (from Argentina to México), Central and Eastern European, and finally South-African transitions from authoritarian rule and constitution making, have developed crucial theoretical perspectives from which to launch the most solid critique of the misguided ideology of militarily-imposed social change that has so far dominated America’s vision in the new century. In short, Arato’s work has always been characterized by a recurrent gesture towards deprovincializing the theoretical implications of contemporary political processes. His work has developed the farthest reaching and most sophisticated learning from political phenomena, from the seventies’ and eighties’ crisis of the Soviet-type societies to the transitions “from authoritarian rule” in Latin America, and from the “self-limiting revolutions” of Eastern Europe to the post-sovereign model of constitution making under the devastating conditions created by the neoconservative, American destruction of the Iraqi state. The cases are particular – and most of the literature developed around them tend to remain such – but Arato’s intellectual project is indeed that of thinking through their particularities and into their common implications, their “family resemblances” and their shared, overlapping, but also contrasting, contributions to political and social thought. It is in this way that Arato has no doubt become the political and social theorist of self-limiting democratic foundations and post-sovereign constitution making of our time. At the time of the consecutive constitutional crises of Clinton’s impeachment and the contested presidential election of 2000 in the United States, Arato was working on questions of the modern executive, legality and legitimacy, and their historical and theoretical articulations in the field of constitutional design. This research found renewed urgency in the immediate aftermath of 9/11 and its triggering of the Bush Administration’s “war on terror.” The earliest results of these investigations were published in the journals Social Research and Constellations during the first half of the past decade, offering theoretical, comparative, and interpretive approaches to the question of dictatorship. The longest, most comprehensive manuscript, however, remained unpublished until its publication in this edited volume. The text – “Conceptual History of Dictatorship (And Its Rivals)” – is a comprehensive historical study of the classic, early modern, and modern theorizing of different forms of the undivided exercise of political authority. The text is not, in fact, a semantic history of the notion of “dictatorship.” It is, rather, the diachronic analysis of political philosophy’s reflection on a set of conditions and circumstances that sometimes included and sometimes excluded the dimensions of exceptionality, institutionalization, legality, legitimacy, and monocracy. The pre-modern and early modern competing notions had been tyranny and despotism. These two concepts dominated both concerned literature and political discourse until the nineteenth century. The actual notion of dictatorship – of Roman origin, of course – mostly retained its institutional, un-polemical, even virtuous nature until its early twentieth-century association with the European Fascist and Nazi regimes. The re-emergence of the concept of dictatorship, however, precedes the negative connotation it acquired in the past century. It is probably the advent of the republican era with the French Revolution that reactivated the concept, still positively valued as a specific institution, more at the service of, than a threat to, the Republic. Since – as Arato says in dialogue with Koselleck – concepts have meaningful histories, however, this transition from the prevalence of the notions of tyranny and despotism to that of dictatorship revealed a fascinating ray on conflicting understandings of legality and legitimacy in the exercise of political power. From Robespierre to Marx, “dictatorship” was used ambivalently, sometimes as problematic, sometimes as necessary instances in the advent of an increasingly democratic understanding of collective life. Tyranny and despotism, however, retained their negative connotation during the entire nineteenth century – until they became archaic in the twentieth, decidedly associated with pre-modern, pre-democratic times. Arato reminds us, in his reading of the main theorists of the French Revolution and its social and political aftermath – Tocqueville and Marx – of both authors’ inconsistent use of the terms. Tocqueville first persuaded us of the inappropriateness of the notions of tyranny and despotism to describe freedom’s fundamental threat in a democratic, egalitarian age – only to offer the concepts of “tyranny of the majority” and “new despotism of our times” immediately afterwards. Marx, for his part, accused all states of just being oppressors’ dictatorships over the oppressed. At the same time, however, the “dictatorship of the proletariat” was put forward as the most democratic of all regimes yet known, being moreover the final, definitive moment in the exercise of a power that would subsequently abolish itself. Indeed, the category of Bonapartist dictatorship is applicable to [the United States’ rule in Iraq] in two ways, as the depiction of a foreign-imposed transformational regime and of a dictatorship that uses democratic public relations and a façade of participation, representation, and consultation to hide its authoritarian practices. As we have just said, however, concepts have meaningful histories, and the context inaugurated by the American invasion, occupation, and – fundamentally for Arato – destruction of the Iraqi state allowed for a description that came also very close to that of the sovereign, revolutionary dictatorships theorized by Schmitt. In a way, Arato’s entire book on the “politics of imposed revolution in Iraq” is a theoretical and interpretive study of the tension and intertwining between three models of constitution making, all of them showing their “elective affinity” with the political regimes that might be instituted in their wake. The American occupiers alternatively adopted both the position of a revolutionary, sovereign dictatorship and that of an old regime’s implementation of a barely disguised imposed constitutional design – and neither alternative has an elective affinity with democracy. As the book argues though, the clash between the occupiers’ attempt at revolutionary imposition and their main opponent, al-Sistani’s preference for sovereign constituent assemblies, forced the implementation of the third model: Arato’s favored post-sovereign constitution making. As Arato had already theorized in the context of the Central and Eastern European and South African transitions to democracy, the new democracies instituted in the aftermath of the implosion and collapse of the Communist and Apartheid regimes spontaneously rejected any actor’s claim embodying the people or any other figure of sovereignty, thus triggering pluralist processes of constitution making that honored the Lefortian, post-sovereign notion of dis-incarnation of power. According to Arato, the United States messed with the model during its invasion and occupation of Iraq, hopelessly deforming it due to the occupiers’ persistent imposition. In short, the manuscript included in the volume should be seen as one of the fundamental pieces of Arato’s preparatory studies for the analysis of constitutional politics, emergency regimes, and modern forms of dictatorship. The potential contexts of application for those preparatory studies, as could be clearly noticed in reading the text, were first closely related to the elective affinity between war and dictatorship – and between war and tyranny, despotism, or bonapartism – given the fact that the US had just declared a “war on terror” with no end in sight, thus creating the conditions for a permanent “emergency” regime. The invasion and occupation of Iraq added to the picture the question of “regime change,” or of transition from authoritarian rule – a situation that could benefit from the comparative and theoretical knowledge acquired during the experiences in Latin America and Eastern Europe during the eighties and nineties. Arato, a scholar of those transitions and a democratic and constitutional theorist, alerts us of the urgent need of further theorizing the question of dictatorship in our times.